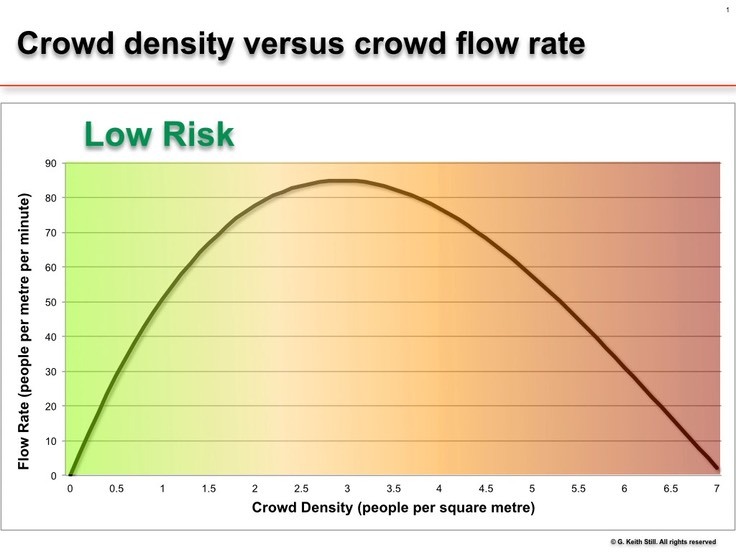 At densities lower than 1 person per square metre the crowd is free flowing and stable. As we increase the number of people per square metre (which is why we are using the string to maintain the density), people cannot take whole paces forward. Movement starts to become constrained and the flow rates drops as shown in the graph below.